The contents of this post is being moved to the new page. Check it out! How did it happen? 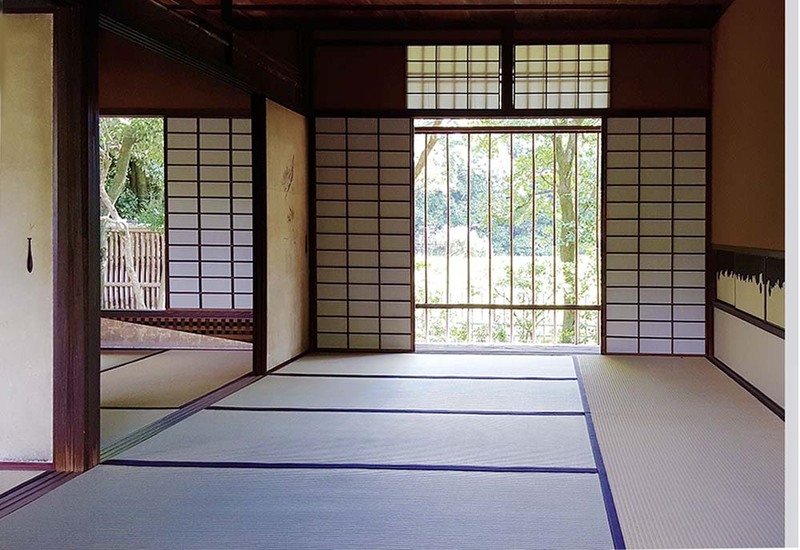 Why did Zen-influenced arts and design embrace simplicity and minimalism? 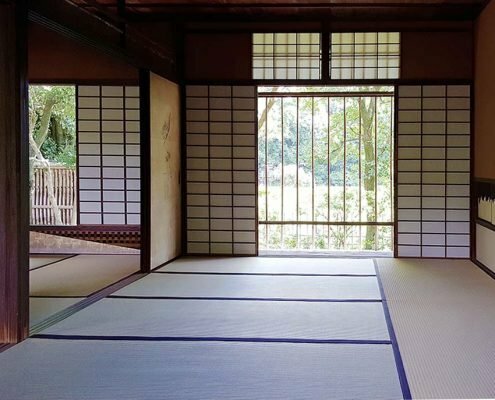 Why has Zen, a school of Buddhism, ended up distinguishing itself in the field of arts and design? 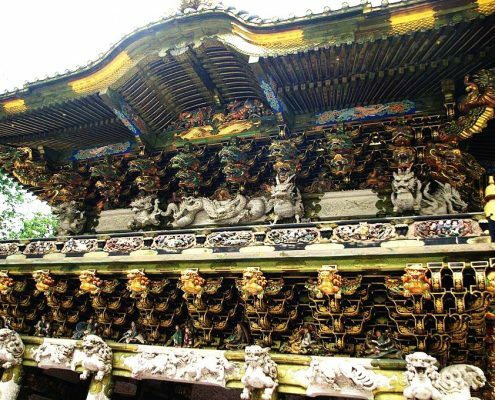 We can trace back the origin of Japanese traditional design to around 6~7th century, mainly through architecture, such as Ise-Jingu (Shrine) or Horyuji. Zen arts and design is a bit newer: Zen was brought to Japan from China somewhere around the 12th century, and Zen-inspired culture, including Zen garden (kare-sansui), ikebana (flower arrangement), bonsai, tea ceremony or Nou theater, cemented their foundation during the Middle Ages (late Kamakura era to Muromachi era, or 13th ~ 16th centuries). It is interesting to remember that the emergence of Zen arts coincided with the Renaissance. Whereas Renaissance design was clear, strong, vibrant, symmetrically balanced, and embraced lighting, perspective, proportion to depict the real face of nature and humans, Zen arts focused on almost opposite elements: subdued pleasure, subtractions of elements, ambiguities, decay rather than vibrancy, and asymmetries. Nonetheless, the “Japanese-ness” that fascinated the world was not the decorative side of Japanese design, but the simple/minimal side. European artists were amazed when they discovered Ukiyo-e in the late 19th century, and Western architects found alternative “modernism” in Katsura Rikyu (Imperial Villa) in the early 20th century. Altogether, simple/minimal aesthetics of Japanese culture influenced modern art and design significantly. 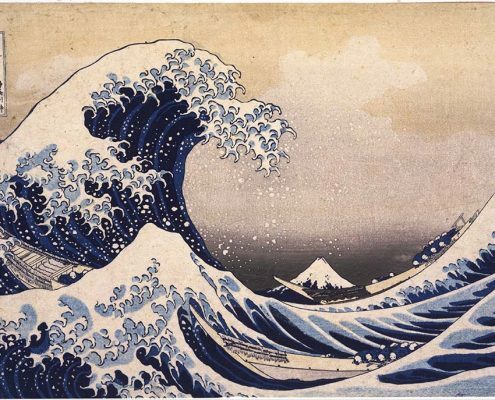 Left: “Under the wave off Kanagawa” by Hokusai, arguably the most famous ukiyo-e that stirred “Japonism” movement in Europe. Right: Katsura Rikyu (Imperial Villa), admired by acclaimed European architects such as Bruno Taut and Walter Gropius. 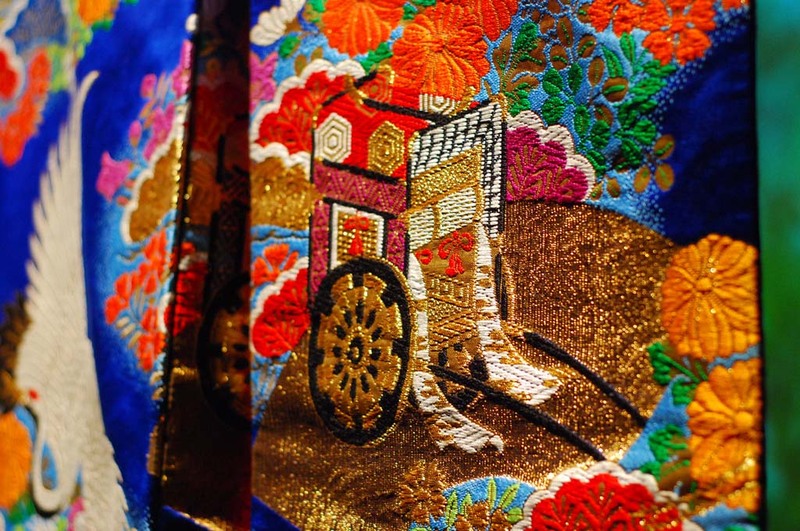 But again, Zen arts is just one form of Japanese traditional culture. 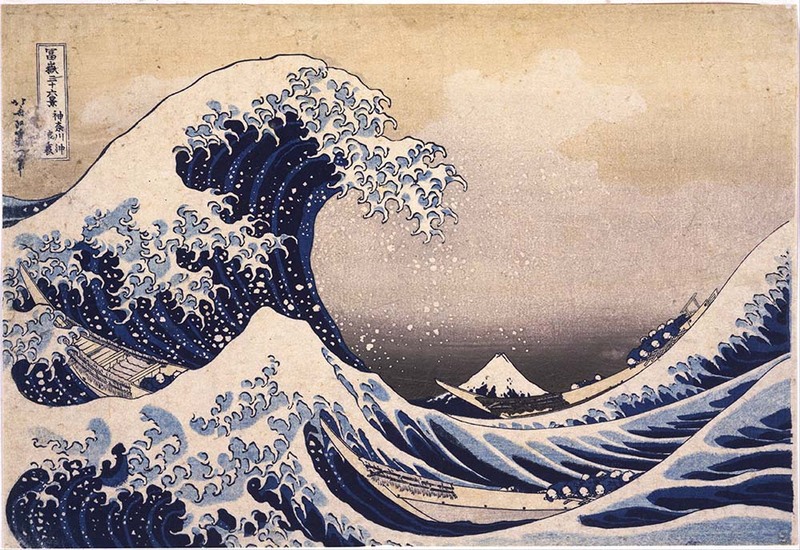 Ukiyo-e was rather a “pop art” of the Edo era (the 17th ~ 19th century), and was not a Zen art. Katsura Rikyu was built by an imperial family in Kyoto, and is not a Zen temple. But still, the influence of Zen aesthetics is obvious in both. They employ simplified yet bold perspective and composition, reduced number of elements, and boast amazing skills to elevate the gist of natural beauty into artistic simplification. 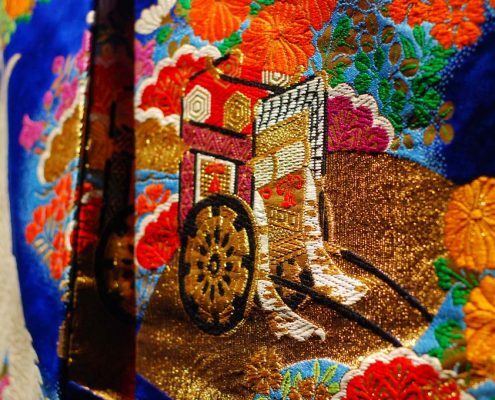 It could be said that Zen arts – despite its limited presence especially in modern era – captured some underlying – almost unconscious – belief Japanese people have been fostering for thousands of years, and crystallized it in a most enduring and universal way. 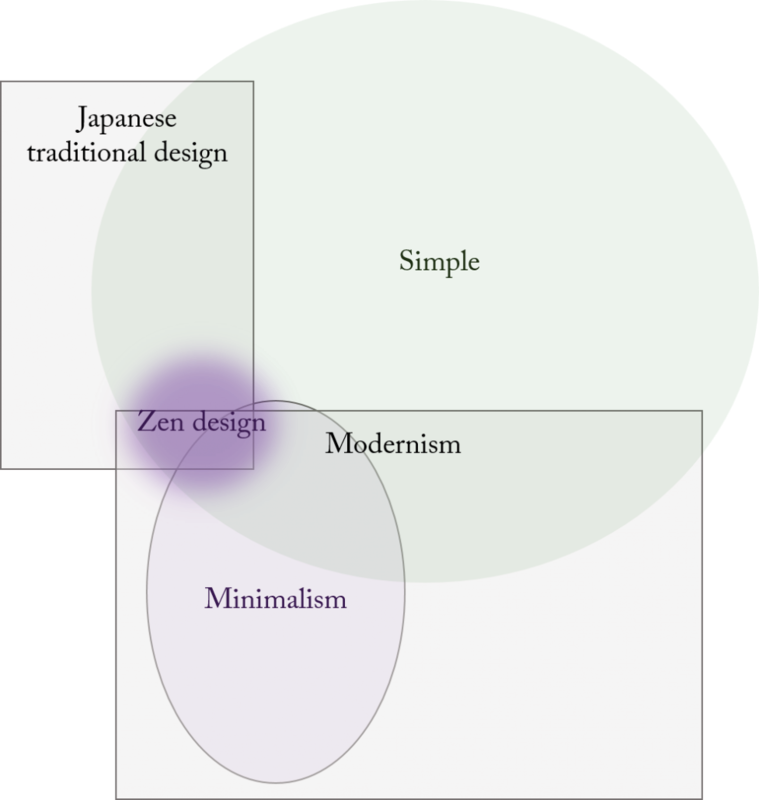 Many Japanese design approaches are not explicitly Zen, but they still embody the essence of Zen aesthetics. The essence is so captivating that it keeps inspiring the people around the world. Then the question arises: what are the underlying beliefs that Japanese people had, which resonated with Zen? Geographical/geological factors played critical roles to help shape Japanese people’s perspective. First, Japan is not blessed with abundant natural resources. It does not produce much metals and minerals to make the country stronger, nor does it have a lot of land suitable for agriculture. People always had to face resource constraints. Secondly, Japan is a uniquely sized/situated island. It’s big enough to support a large population – 100 million people today – but the distance from any continent was far enough to avoid constant invasion, until the industrial revolution radically improved military potential. Whereas you couldn’t stay isolated from the rest of the region if you are in the middle of a crowded continent, Japan managed to seclude itself from the international society until the end of the Edo era (1868). But curiously, the seclusion was only on political and economic fronts. Japan kept its door open for intellectual pursuit: Japanese were earnest to learn from mainland China, the center of gravity in Eastern Asia, whether it was political system, religions or art/philosophy. They always looked to China for enlightenment. Because of its unique resource/geological situation, Japan developed politically and economically independent domain, whose primary limiting factor was the force of nature. People tried to live sustainably with what they had without aggressively intervening nature, because they knew it would eventually backfire. This is a stark difference from continental countries, which were destined to define their territory through conflicts with neighboring powers. Whereas “people versus people” determined the worldviews on continents, “nature versus people” defined Japanese perspectives. 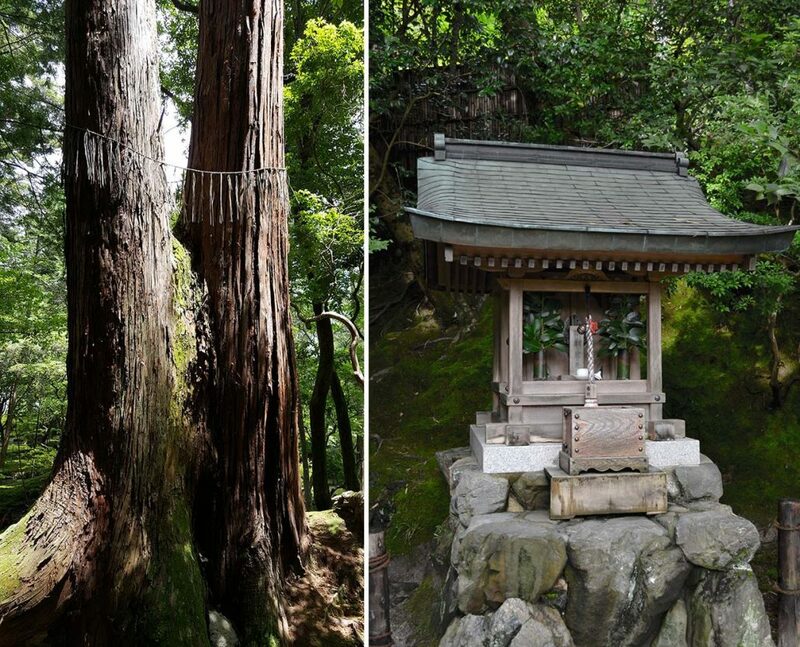 Japanese looked at nature so intently, because it was the source for survival, prosperity and joy. Nature was also something they feared, because it could cause natural disasters, famines or proliferate diseases to damage people’s lives mercilessly. While leveraging advanced intellectual endeavors imported from China, Japanese spend enormous amount of resources to establish a good relationship with nature. One of the earliest “device” Japanese developed to face overwhelming power of nature was to create a bridging buffer zone (結界) through which people would communicate with nature without intervening it. It was often a marking as simple as four pillars with ropes. 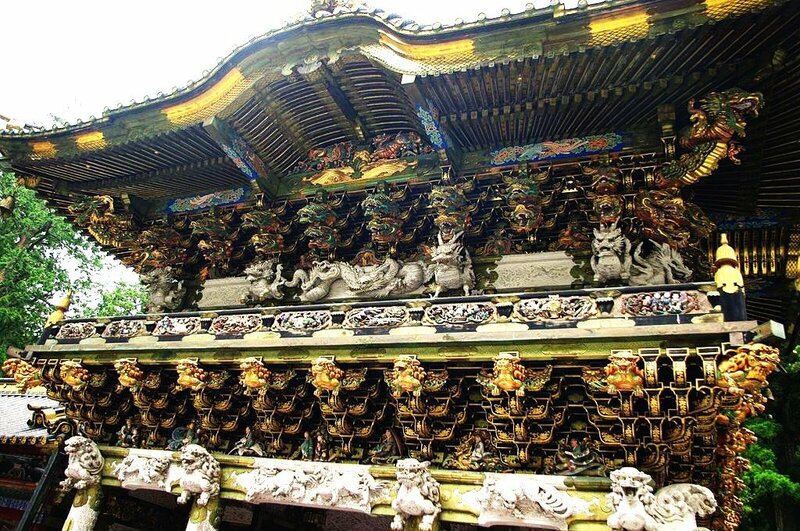 People also used “shimenawa (left)” or “hokora (right)” to respect nature and the deity in it. They are typically found where people’s territory gradually dissolve into nature’s territory.